Are you looking to build your own camera? This complete WiFi spy camera kit is what you need. Simply choose the item or spot you want to place your camera and you can be streaming live footage within minutes like in this cereal box. 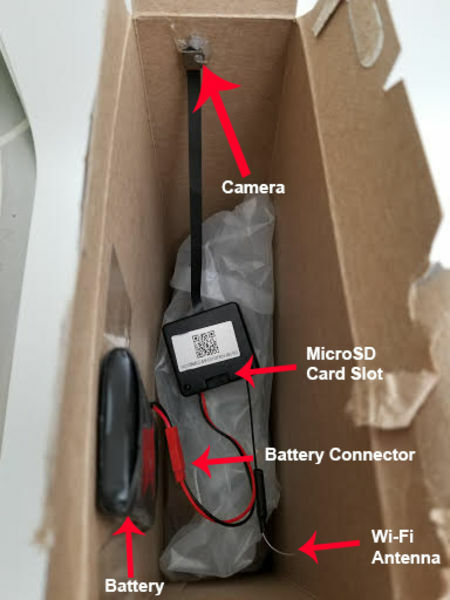 Our Do It Yourself WiFi spy camera kit allows you to View and Record Live streaming on your Android, iOS, or local PC and also Records to Micro SD Card. Choose the battery option and get AC adapter to allow you to run the kit on AC also. The viewing angle is 90 degrees and is made on our State-of-The-Art 3D Printer that keeps all the internals in place. The video resolution is an outstanding 1080P which can be adjusted to 720P or 480P and offers Continuous video and motion detection. It even has Alerts via email or phone app. Watch the demo video clip of our Do It Yourself WiFi spy camera kit which comes with a lifetime warranty and free tech support. Be the first to review “Do It Yourself 1080p WiFi Spy Camera Kit” Click here to cancel reply.